Every day as we walk down the street, our eyes constantly roam our surroundings, searching for items of interest. It doesn’t always have to be extremely large, sometimes it just has to be at the right spot and the right time for you to suddenly notice it. It can be a street billboard while you’re in your car, impatiently waiting for the lights to change, or a small poster in your bus stop when you’re on your way to school. You start reading idly and then suddenly you realize that you’re interested in what it has to offer. And then your eyes catch sight of the long exhaustive link at the bottom of the poster and the information is immediately categorized in your brain as tedious hard work that’s not worth the effort. Sounds familiar? That’s because this is a day-to-day occurrence that happens all around us, all the time. That is why QR Codes are such a simple yet ingenious solution – they essentially provide a scannable link so that the interaction that you’ve begun with your customer can be continued without interruption, in a smooth, unbroken line of communication. Once the customer has finished reading what you have to offer, they can choose to continue to engage with your brand and your product, and even perform active behaviors such as making a phone call, saving your company’s details or even checking out your product in an online shopping cart, all depending on what your QR Code has to offer them. 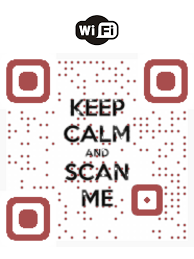 Creating a scannable link preserves the offline-to-online engagement process between potential customers and your brand and Visual QR Codes are even stronger call-to-actions than black and white QR Codes, due to their appealing appearance which makes it look fun to scan them. Be wise and avoid pitfalls that have felled even the most striking poster out there. Provide your customers with a scannable link to your brand in the form of a Visual QR Codes and the results won’t hesitate to follow.